If you’re like most people, the thought of having a tooth knocked out or fall out simply makes you cringe. When this occurs, however, there are a few options a person has to choose from when it comes to getting their smile back. One of these choices is to get a dental implant. Dental implants are comprised of a titanium post that is placed in the jawbone so that a stable foundation exists for a tooth that is being restored. Once the post has been placed, it can hold either a crown, a bridge or a denture in place in the person’s mouth. This will allow them to be able to eat, speak and even smile better and with more confidence. These implants are permanent and should last the person sporting it for a lifetime as the posts are made from titanium alloy that bonds with the jaw bone over time. 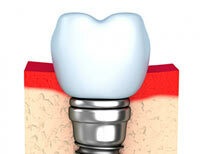 What happens when you decide to get a dental implant? 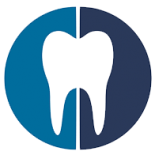 When you opt to get a dental implant, your dentist will outline the entire surgical procedure for you so that you know what to expect and so that you can get answers to any questions you may have. Depending on your personal needs, this procedure could be scheduled over several appointments. If you are interested in getting a dental implant, we suggest you call Corsi Dental Associates of Woodbury to learn more about your options! We are always happy to let you know what we believe your best treatment option is and how we believe you should proceed.